An One, Holy, Catholic, Movement? 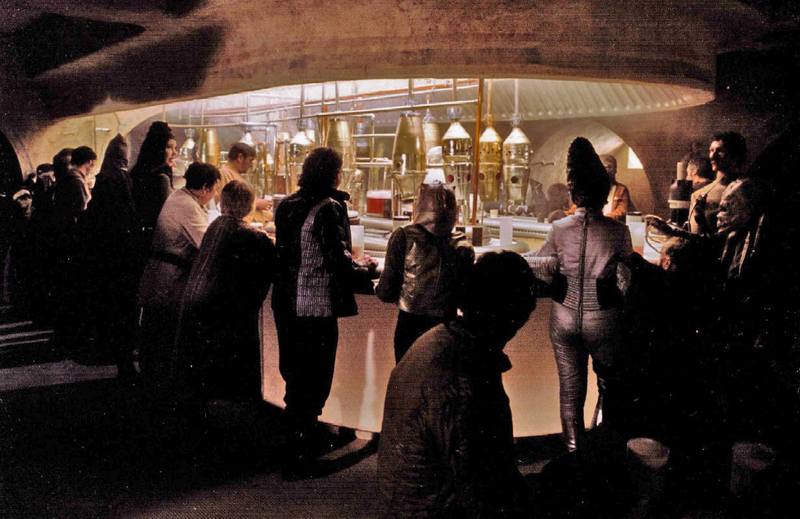 When you first enter what is 21st century Anglicanism in North America you could imagine yourself in the famous Mos Eisley Catina Bar in Star Wars. There is a wide-open feel in the room as participants in the renewed Anglicanism give descriptions and interpretations of what they think our theology is that is highly conflicting from one writer to another. Everyone is welcome; just step up. There is no sense of a confessional or regulative unity. One could argue that the reason this is the case is that we are just too new or that we’re the product of decades of false teaching that needs replacing. Each participant therefore finds it hard to define what they are beyond their present personal experience. But I want to suggest something more nuanced here. It is where we have come from, but it is not just episcopalianism. We are a product of American evangelicalism. The religious style that is rooted in German pietism of the seventeenth century and the revival’s of the eighteenth and nineteenth centuries. It looks more to the experience and action of the individual believer for evidence of authentic faith than to the forms and order of the its confessions, its doctrinal discipline, and its clergy. Protestantism in the sixteenth and seventeenth centuries had looked to baptism, the Lord’s Supper and preaching by an ordained minister, and a system of family worship and catechesis as staple of Christian devotion,whereas evangelicals in the pietist and revivalist orbit question the authenticity of such church-based activities. After 300 years American Anglicanism has forgotten how to be Protestant. An example of authentic faith being more in the experience and action in the individual is in the Anglican “three streams” hypothesis. We are, so the hypothesis suggests,three streams of Anglo-Catholic, Evangelical and Charismatic Anglicans. This is American evangelicalism at its best and at its weakest. It is confessionalism by the lowest common denominator. How can we be a denomination of churches when in each of the “streams” one ecclesiology and by implication one soteriology differs so fundamentally from the other? Three streams thinking will leave us with some shallow formalism without any depth. In one generation it will recreate the denomination many of us have just left behind. At best three streams thinking makes an One, Holy, Catholic Movement, not an One, Holy, Catholic Church. Christian unity is always a doctrinal unity and biblical exegesis is the lifeblood of our doctrine. Doctrine or systematic theology can be understood as historical theology on the one hand or philosophical theology on the other. If it is understood as historical theology it can become an exercise in finding theologians from the past and perhaps from the present with whom you agree, quoting them, exegeting them and leaving it there. Our first step as Anglicans must be in demonstrating that the system of doctrine that we confess in our historical formularies or the system of doctrine we seek to articulate in a loci approach is first and foremost biblical. And as such it must be regulated by a careful read of the sole norm, the principium of the Christian faith, which is Scripture. In all the discussions of what is anglican, the majority of discussions are from historical theology. When, I do wonder, will Scripture take its proper place? Glad to find your page. Will follow your ruminations. I’m not sure about this hypothesis. It seems there are a many more profound differences between the unbelieving/apostate/liberal wing(s) of the Anglican communion and the believing/theologically conservative wing, than between the believing theologically-conservative parts of each of the 3 streams. The 3 streams are ideally streams of emphasis, NOT of doctrine. All can say the 3 creeds with the same honesty, while each expresses their (real) life in Christ differently. Admittedly the extremes of each of the 3 streams are mutually exclusive, however distinguishing between what is vital/un-debatable and what is not…is ideally an Anglican 3-stream strength. I suggest that upon closer examination the differences between Anglo-catholic, Reformed, and neo-Pentecostal ARE doctrinal. Then we must pray for, reason with, and persuade our brothers, don’t you think? Certainly, but the road ahead is a very long one.